The Corn Islands (Las Islas del Maíz) are two islands about 70 kilometers (43 mi) east of the Caribbean coast of Nicaragua, constituting one of 12 municipalities of the South Caribbean Coast Autonomous Region. The official name of the municipality is Corn Island (the English name officially used in Spanish-speaking Nicaragua). Adventurous travellers should definitely include the Corn Islands on their list of things to do in Nicaragua. In the 17th century, the islands were a haven for pirates and smugglers, and there are still mutterings of sunken treasure and old shipwrecks in the area. These islands are a true Caribbean paradise due to their various white sand beaches and turquoise clear waters, coconut forests, coral reefs and the immense tranquility of their environment. Great Corn Island has many neighborhoods and hills. Little Corn island, on the other hand, located to the north of Great Corn is less populated and quieter than its big brother. The most important native celebration is the Crab Festival, which is held on August 27 and 28. These two islands offer a superb opportunity to see the Caribbean side of Nicaragua in a beautiful and mostly unexplored environment. The regular ‘Caribbean’ features are all present: turquoise water, white beaches, green palm trees and stunning reefs and marine life. The islands are a perfect off-the-beaten-track destination and a great place to undertake adventurous sports like diving or sea fishing, but they are also a wonderful spot to just relax and enjoy the beaches and surrounding areas. Temperatures hover around 30°C year-round. The fastest and most convenient option is to take the 1 hour and 45 minute flight from Managua International Airport to Big Corn Island. 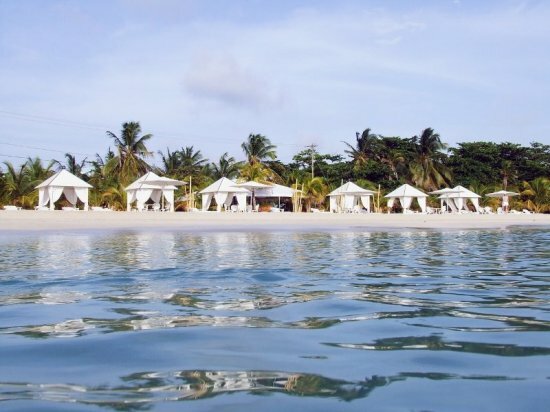 Little Corn Island can only be reached over water and there is a daily connection between Big and Little Corn Island that takes 30-40 minutes.